Elon Musk's rocket company, SpaceX, could help fund a bid to take electric car company Tesla Inc private, the New York Times reported on Thursday, quoting people familiar with the matter. Musk startled Wall Street last week when he said in a tweet he was considering taking the auto company private for $420 per share and that funding was "secured." He has since said he is searching for funds for the effort. Musk said on Monday that the manager of Saudi Arabia's sovereign wealth fund had voiced support for the company going private several times, including as recently as two weeks ago, but also said that talks continue with the fund and other investors. The New York Times report said another possibility under consideration is that SpaceX would help bankroll the Tesla privatisation and would take an ownership stake in the carmaker, according to people familiar with the matter. In a wide-ranging and emotional interview with the New York Times published late on Thursday, Musk, Tesla's chief executive, described the difficulties over the last year for him as the company has tried to overcome manufacturing issues with the Model 3 sedan. “It seemed like better karma at $420 than at $419,” he said in the interview. "But I was not on weed, to be clear. Weed is not helpful for productivity. There's a reason for the word 'stoned.' You just sit there like a stone on weed," he said. 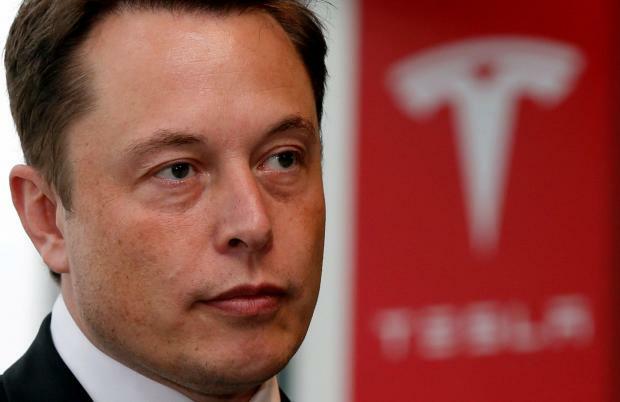 During the interview, Musk emotionally described the intensity of running his businesses. He told the newspaper that he works 120 hours a week, sometimes at the expense of not celebrating his own birthday or spending only a few hours at his brother's wedding. "There were times when I didn't leave the factory for three or four days — days when I didn't go outside," he said during the interview. "This has really come at the expense of seeing my kids. And seeing friends."